It’s the Monsoons and riding in rain is a fun of its own kind. Despite water clogged roads & heavy downpour, commuters still prefer biking to work and us performance riders hate to stop riding because of damp weather! While we need that extra gear like a rain jacket our bikes needs some extra care and attention too. Bikes ride best when bearings roll smooth and the bike is clean and well lubricated – all tough asks during the Monsoons! To keep it rolling smooth and to avoid grinding, major bearings need to be well packed with fresh high quality grease. If you’ve been riding regularly in the rain or if your bike has not seen a detailed quality service (check out the Technical Service section at BUMSONTHESADDLE) in a long time, the grease around the bearings is most likely non-existent or would have lost viscosity. Rain water with all the muck on the bike and on Indian roads will add up to a fine grinding paste all set to wear down your beautiful bike. 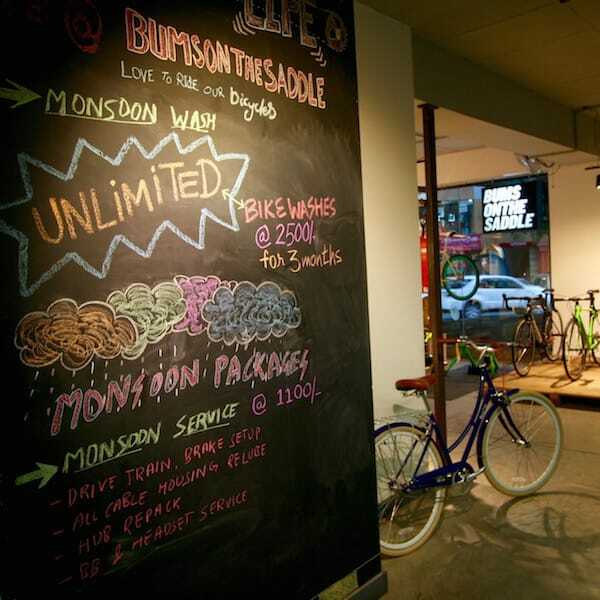 So how do you ensure your bike is Monsoon ready? You’ve got less to worry about if you’re bike’s running on sealed bearings. Once you have done the complete bearing service on your bike, you’re all set to ride your bike worry free through the monsoon season. 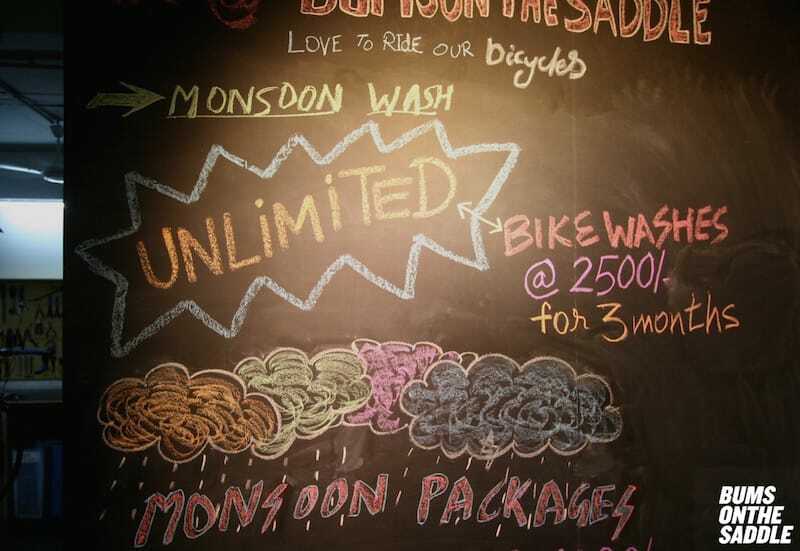 We are also hesitatingly introducing an ‘unlimited’ Monsoon wash package with unlimited bike washes for a duration of 3 months at Rs. 2500. Definitely a good deal to ensure your bike has all the attention it deserves. ps: All the beautiful artwork executed by our awesome and talented bike mechanics. Yup, attention to detail!